The Academic Staff Union of Universities (ASUU), on Tuesday agreed that it would honour invitation from the Federal Government to resume the suspended talks tomorrow on the on-going strike and its demands. 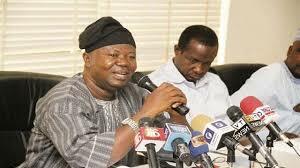 ASUU President, Prof. Biodun Ogunyemi, said the union had received invitation for the meeting and will act accordingly. He, however, declined to speak more on the issue. Those expected at tomorrow’s meeting, aside ASUU delegation, include Minister of Education, Minister of Finance, Chairman, National Income Salaries and Wages Commission (NSIWC), Executive Secretary, National Universities Commission (NUC) and the President of the Nigerian Labour Congress (NLC). The strike by ASUU entered the third week, even as the non academic staff unions are planning to down tools over similar issues. ASUU, SSANU, NAAT and NASU accused the federal government of non implementation of the 2009 signed agreements, as well as the Memorandum of Understanding (MoU).